A pair of analyses explore how rising heat, rising sea levels and powerful storms are threats to energy infrastructure. Why it matters: There's justifiably lots of attention on fossil fuels' outsized contribution to global warming, but another crucial topic is how climate change is already affecting everything from power grids to refineries. 1. 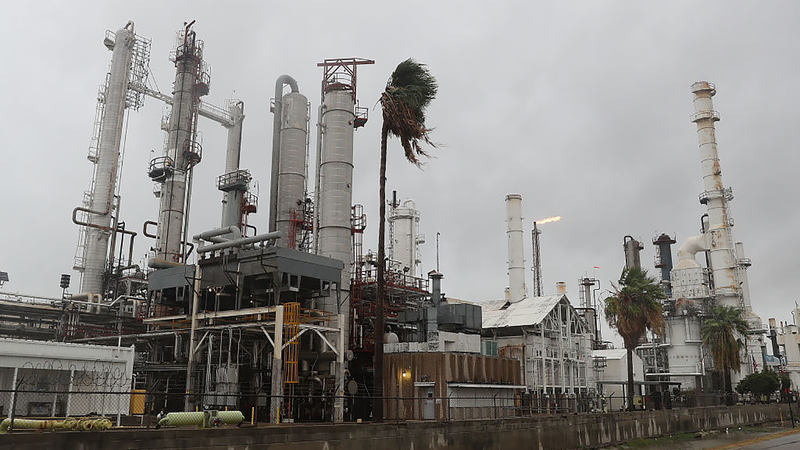 Over at UPenn's Kleinman Center for Energy Policy, Christina Simeone writes that companies with operations along the Gulf Coast energy belt are failing to adequately describe climate-related risks in disclosures to the Securities and Exchange Commission. That's important, because companies with refineries, petrochemical plants, liquefied natural gas facilities and more face risks from sea-level rise and storm surges. "I’m not sure any rational investor would read these disclosures and understand the gravity of the Texas coastal situation, or the need for an enormous taxpayer investment to protect Gulf Coast assets from climate-related impacts," she writes. 2. International Energy Agency analyst Caroline Lee connects the dots on how the brutal summer of 2018 has affected energy systems, such as . . . Forcing temporary closures of several French reactors, which occurred, per AP, to prevent discharges of cooling water from overheating nearby rivers. Low water levels on the Rhine river disrupting barge traffic of oil products. Scorching heat has caused blackouts and power interruptions in California, Pakistan and elsewhere. What's next: Lee says governments must play a "central role" in making the energy sector more resilient to climate change. That means toughening codes for infrastructure, "establishing an enabling financial environment that encourages climate-resilient investment," and more. Companies, she writes, need to factor climate change into their planning and operations, and develop emergency response measures for "extreme events."